It's time to embrace our masculine creativity. This month we hope to inspire and be inspired on projects catering to the Men. 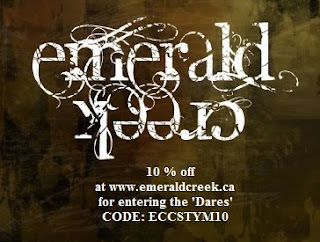 This doesn't mean it has to be grungy or anything. Just show us what you have in mind for the guys in your life. Hi friends! 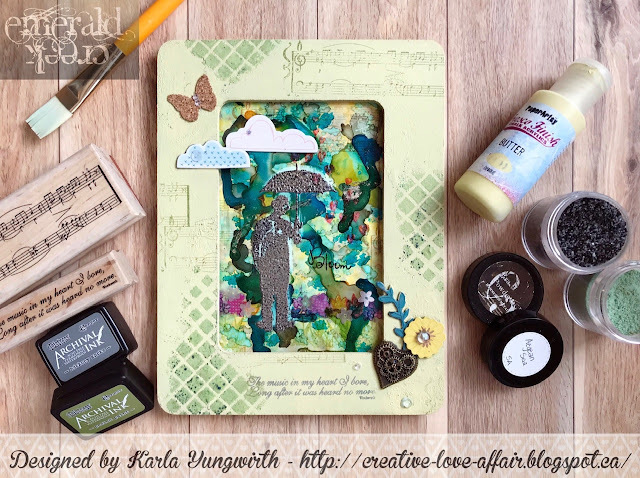 Karla back today to share my take on our fabulous Guy Style challenge, running all throughout May! 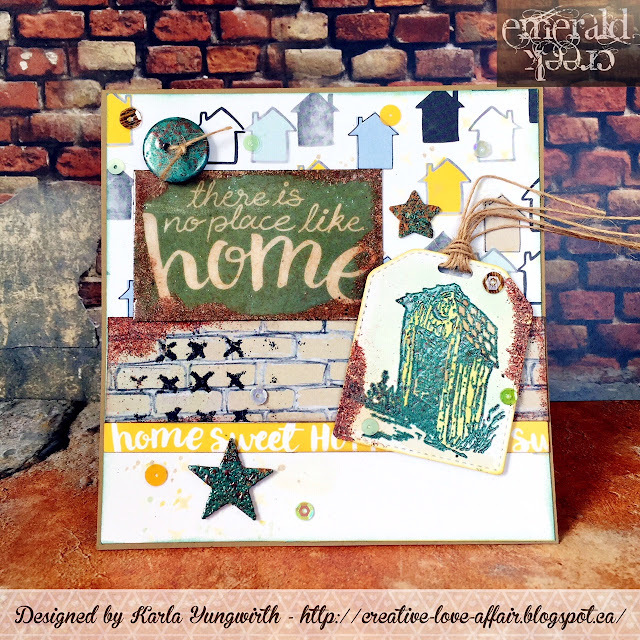 As soon as I saw this sweet little vintage outhouse stamp - Out The Back Door, I knew I wanted to use it for this challenge ;) I combined the Emerald Creek stamp and embossing powders with the Wild Whisper No Place Like Home collection for a masculine card. 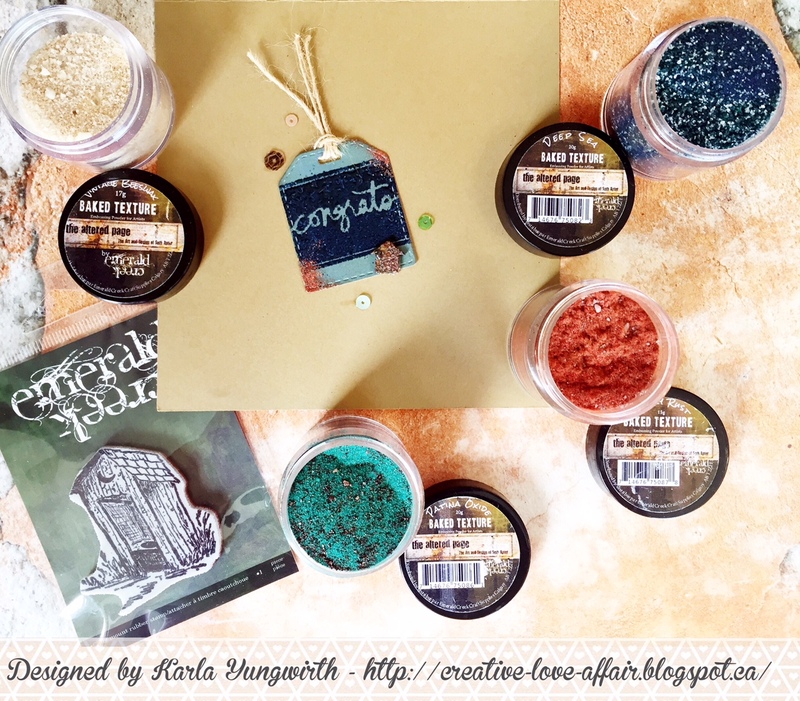 The stamp is embossed with the new Baked Texture Patina Oxide Embossing Powder - I really love how you can emboss with this as well as alter your embellishments like I did with the button and cork stars. And, can I tell you how much I love the Baked Texture Chunky Rust powder!! What a cool effect - be sure to check out the video below to see how I applied it. Inside I added some more embossed elements. These powders truly are amazing!! You can watch the process I used to create this card and see all the details close up video HERE or watch below. You can also check out some closeups on my blog post HERE. Thanks for your great tutorial. I am not familiar with this products but it looks amazing. Really wonderful Karla. Great layering.